Susan G. Komen San Diego | Susan G. Komen San Diego’s More than Pink Dinner in San Diego Magazine! 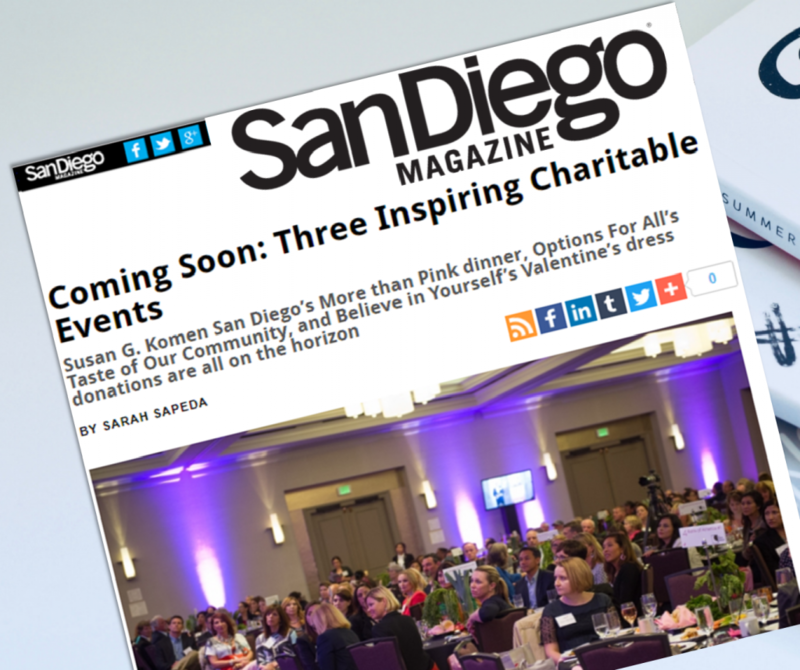 15 Jan Susan G. Komen San Diego’s More than Pink Dinner in San Diego Magazine! San Diego Magazine highlighted our annual dinner in their weekly Good News Roundup! On April 11th, we will bring together more than 350 survivors, community members, corporate leaders and a leading cancer expert at our fifth annual dinner. This year’s event will debut a new name, location and theme. The More Than Pink Dinner will take place at the Hyatt Regency La Jolla at Aventine from 5 p.m. to 9 p.m.
Read San Diego Magazine’s Sarah Sapeda excerpt on the event. More about the event and to reserve your table before it sells out below!